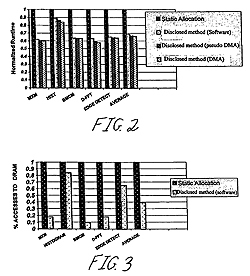 Associate Professor Rajeev Barua (ECE/ISR) and ECE Ph.D. alumnus Sumesh Udayakumaran ('06) have been awarded US Patent 7,367,024 for "Compiler-driven dynamic memory allocation methodology for scratch-pad based embedded systems." Their invention offers a highly predictable, low overhead and yet dynamic, memory allocation methodology for embedded systems with scratch-pad memory. The dynamic memory allocation methodology for global and stack data accounts for changing program requirements at runtime, has no software-caching tags, requires no run-time checks, and has extremely low overheads. The methodology also yields 100% predictable memory access times.